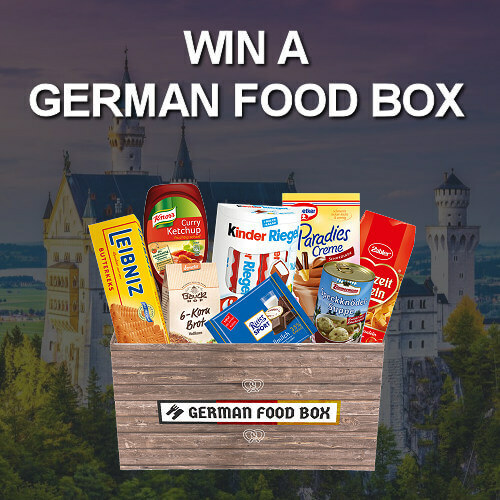 Korn: Enjoy the delicious, tempting and affordable German liquor anytime, anywhere. Korn is German liquor which is colorless and distilled from fermented grains like rye, corn, wheat or barley. The liquor has the name in Germany for its low cost. The spirit is available in the country with the alcohol content of 32 percent to well over 40 percent ABV. When the distillation is done, the spirit is aged in vats, in the process which is similar to Whiskey. But the spirit varies from vodka in that it is less cautiously filtered and to the lower alcoholic proofs which are why more of a cereal taste is left in the finished product and is not gentle the way down. The spirit in the country is regarded as the drink of the working class because it is budget-friendly and readily available. One may also refer Korn as a mixture of German Schnaps, formerly made from malt and wheat, to which sometimes rye, corn or barley are added. This German spirit is famous in the northern part of Germany while in the southern part, the modestly priced fruit brandies like Obstler(made from apples, plums or pears) have popularity. As the original and conventional Korn has the alcohol content of 32 percent, Kornbrand (also referred as Doppelkorn or Edlekorn) holds somewhat 37.5 percent ABV. The flimsy variety of the spirit is also available with the combination of the fruit flavorings and the alcohol content less than 30 percent. As Korn, being the weaker liquid, it also gains another nickname as a result-Klarer( which means “Clear one” in German). Klarer is also referred to as Korn or Doppelkorn, and these names are frequently used in the market for low-cost spirits that are weak (approximately 28-30 percent ABV) than usually authorized to Korn. The intake of Korn is neat, but with a soft drink mixture or with the combination of beer named “Herrengedeck” (meaning “Gentlemen’s Cover” in German) or the flavored variety of Korn is equally famous and tempting. Some of the leading brands of this spirit in Germany are Fürst Bismarck, Doornkaat, Berentzen, Mackenstedter, Oldesloer, Strothmann, Hardenberg, and Nordhauser. This spirit has given Germans an inexpensive holiday from sobriety for many years. Korn (also called Branntwein) was initially remarked in the early 16th century when the distillation of the spirit became a challenging competition between many producers in the Nordhausen’s Free imperial city. 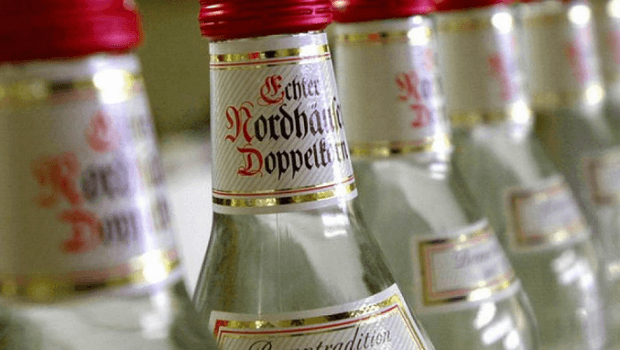 Nordhausen ordained the early purity law for the spirit and thus, it is still produced in the place. Otto Von Bismarck’s father, Karl Wilhelm Ferdinand, founded a distillery in 1799 at Schöhausen. Make your homemade distilled spirit. Here is the list of ingredients for 55 gallons (208.58 liters) mash barrel. 25 lbs (11.33 kg) of rye meal. Turn up the heat to 172 degrees and pour into the barrel about 18 gallons (68.137 liters) of water. In this, add the entire corn meal and mix. Mix until both corn meal and water are combined without any lumps to be seen. Now, into it add the rye meal and keep mixing until the mixture seems fine. Now, let the mixture sit for about 1.5 hours and after that transfer some gallons of the mixture into a different bucket and stir 11lbs (5 kg) of malt into it. Mix the ingredients well until fine and again, transfer the liquid back to the barrel and again mix well until even. Smear about 1.5 lbs (about 1/2 kg) of malt on the top external of the barrel mixture and then again let it sit for about 45 minutes to an hour to wait for the malt on the surface to begin to crack. When the malt surface begins to crack, start stirring the mash and work gradually until you reach the bottom of the barrel. Stir the mixture until the temperature of the mash falls and keep on stirring until the point where you can stir it with your bare hands. Take a small amount of the mash in a separate bucket and then add the two yeast packages to it. Mix them well until the mixture foams up completely. Put the mash back into the mash barrel and stir it until it is evenly distributed. Cover the barrel but do not cover it too tight and within three hours the entire barrel will start fermenting. After three days, the mash will be ready for distillation. After the distillation process, enjoy this tempting beverage taken neat or mixed with cocktails! With black or green or Oolong tea. White Prussian: The German Signature drink. Pour Korn, cream and Kahlua and stir gently. Korn Crushed: Take two spoons of brown sugar in a long glass and add four cut kumquats. Fill the glass with crushed ice. Add Korn and lime and stir. Korn Gimlet: Take some ice cubes in the glass. Add some lime juice and Korn and stir. Add a slice of lime on top for finishing. Moscow Mule: It is the classic spicy Ginger Beer of the 60s. Mix half and half of lime juice and Korn and the triple amount of Ginger Beer. Stir gently. Mad Dog: This shot is from Poland: Fill Korn into a shot glass which is frozen. Add some strawberry or cherry syrup carefully into the Korn. Add some drops of Tabasco (Around 2-5) and done! Gentleman’s set: Take a glass of beer and Korn. Enjoy with friends! You can enjoy this drink with family and friends the next time you throw a party. So don’t miss out on adding this recipe in your menu for your party.